A simple design does not compensate for refined style in this organic citrine ear jewelry. 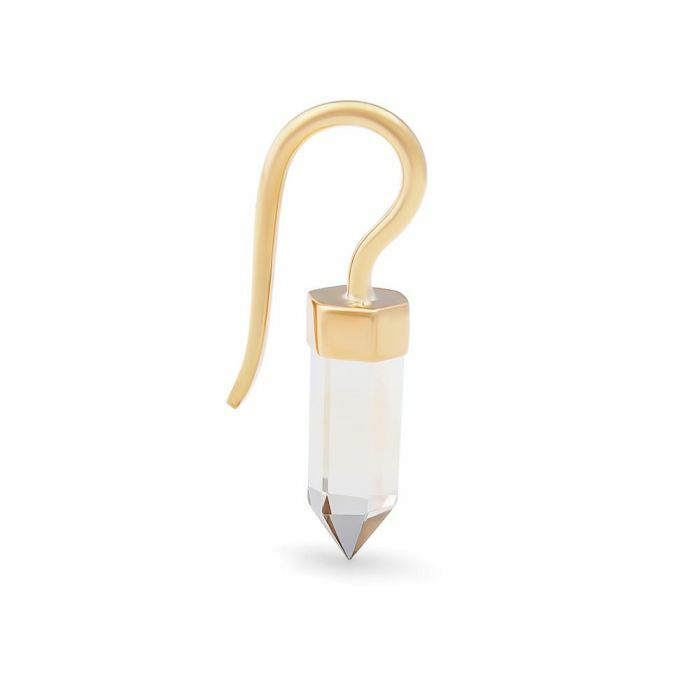 This 8g hanger, made of brass and plated with polished yellow gold, features a dangling wand-shaped cut of citrine for a look of crystalline elegance. The wand measures approximately 27.3mm long by 6.9mm wide. The Citrine Wand Hanger is priced per one. Please check out for Quantity 2 if you would like a pair. Organic jewelry may vary slightly from each other in color and size because they are made from natural materials. We do our best to match up the two most similar hangers when a quantity of 2 or more is ordered.